David Katzmaier has reviewed the V Vizio P50HDM. - lacks an HDTV tuner and a CableCard. The Panasonic Lumix DMC-LX1 has a broad set of manual controls, image stabilization, etc. The reviewer gives this digital camera a 7.6/10. Dell has made a concurrent for the iPod nano, the DJ Ditty. The new Dell DJ Ditty is Slim and Trim at 1.29 ounces - light enough for heavy workouts or runs, yet plays about 220 songs for up to 14 hours . The DJ Ditty is available for $99 in the online Dell-store. United Keys, Inc. announced today at DEMOfall the world’s first PC keyboard with user programmable display keys. The 205PRO PC keyboard has small, changeable LCD displays embedded in the keytops of all twelve function keys. 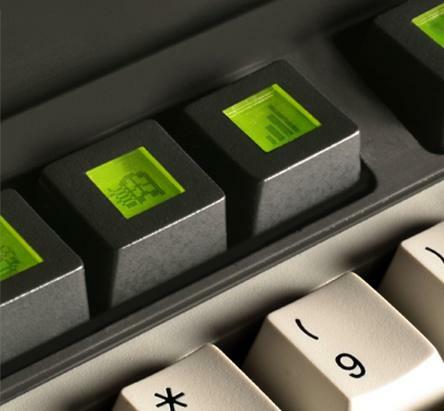 The limitation of traditional PC key programming, including “shortcuts,” is that users can’t remember them. As a result, tremendous usability and productivity advantages are lost. With United Keys 205PRO, users or software developers can create custom icons or other images that visually identify complex functions or next steps in software operation. The small displays change dynamically, updating as new software is loaded or new applications within programs are utilized. United Keys estimates the market for user programmable display keyboards at 15% of all PC shipments. The company’s patented and patent-pending technology also applies to other electronic input devices, such as mobile phones and automobiles. The 205PRO keyboard is built by a leading manufacturer using internal metal frames and mechanical keyswitches. The enclosure is heavy and extremely durable. Keytop displays are 20 pixels by 20 pixels, in monochrome. The keyboard runs on USB 2.0, and comes with desktop software featuring a real-time Icon Editor and icon-to-hexadecimal Image Converter. The 205PRO keyboard offers three options for display key customization. One, users can create icons for shortcuts using the Icon Editor. In this way, they can have icons for shortcuts or macros they create or ones that come with third-party software. Two, Internet sites can embed hexadecimal code in web pages that will automatically launch images on users’ display keys related to site-specific content (in effect, creating “shortcuts for the Internet”). And three, software developers can use a free software API to create key display images that automatically load and display with their program implementation. 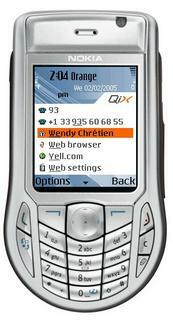 The retail price of the 205PRO is $299.99, and will be available in the first quarter of 2006. Special “friends and family” pricing of $199.99 is available until the end of the year. Expanding its wide range of elegant and affordable phones for consumers in emerging markets, Nokia today unveiled the Nokia 2652 phone. The stylish and functional Nokia 2652 fold model builds on the success of the award-winning Nokia 2650, adding two new design motifs, 'Cell' and 'Fleur' with dark gray and pearl white key mats for consumers to choose from. It is expected to be commercially available in October 2005 with an estimated retail price of 100 EUR before subsidies or taxes. The Nokia 2652 will be available in Europe, Middle East, Africa and the Greater China region. "We are working with operators to offer affordable phones and solutions that reduce the total cost of ownership of the handset and mobile services," says Kai Öistämö, Senior Vice President, Mobile Phones, Nokia. "Nokia was the first vendor to focus on an extensive range of products and network solutions in fast growing markets, and we remain committed to introducing affordable, attractive phones with well-considered features and innovative network solutions to meet the communication needs of consumers in these markets." "It is equally important for us to work closely with government bodies to overcome possible barriers that are preventing forward momentum. With the right combination of mobile phones, network solutions, services and a regulated environment, we envision a mobile landscape where operators can profitably offer mobile services to a broader range of consumers for as little as USD 5 per month. When the cost of mobile services becomes this affordable, we foresee the growth curve in growth markets accelerating sharply," adds Öistämö. "The continued rapid growth in mobile subscriptions has exceeded even the mobile industry's own estimates. Since the early 1990's we have seen voice go truly wireless and mobile phones evolve from voice centric to feature driven devices. Earlier this summer, Nokia sold our one billionth mobile phone - a Nokia 1100 sold in Nigeria," says Öistämö. "It will be new growth markets like Nigeria that will fuel the growth towards three billion subscribers by 2010." As the industry leader in mobile devices, Nokia has introduced hundreds of innovative mobile phone models since the early 1980's. The company has manufactured mobile phones in high volumes since the beginning of 1990's, when the first digital networks were introduced. In 1998, Nokia announced it had manufactured its 100 millionth mobile phone, and became the world's largest mobile phone manufacturer. In 2004, Nokia was the clear market leader in mobile devices with volumes of 207 million units. 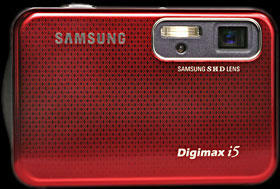 The Samsung Digimax i5 camera has a 5-megapixel resolution and a 3x optical zoom. - Very good image quality. - Night Scene mode with 16-second exposure capability. - High resolution, 2.5-inch LCD monitor. - Very compact metallic body. - Nicely finished, and pouch included. - Lens too close to the edge, and therefore too easily covered by fingers while holding the camera. - Some noise in images as of 100 ISO. - 50 ISO setting only available with Auto shooting mode or Scene modes. Benny Har - Even has reviewed the Toshiba TS 921. Toshiba certainly isn’t the first name that springs to mind when it comes to mobile phones. But as one of those Japanese companies that seems to make almost everything it’s no surprise to find that it has turned its hand to 3G with the release of the TS 921, available exclusively on Vodafone, he says. Toshiba Corporation announced that it has developed two prototype direct methanol fuel cell (DMFC) units and begun tests to validate their operation with mobile audio players. Each unit integrates the DMFC that Toshiba announced in June 2004, the world's smallest, bringing its practical use a major step closer. Portable mp3 players have caught on in a big way despite the rants and disgruntled mumblings of certain millionaire recording acts. Not only are mp3 players becoming more and more affordable, but personal mp3 players are also being enhanced with greater features and functionality. With so many mp3 players to choose from, finding the perfect one for your lifestyle can be an overwhelming task--that is until now. The first tip in finding the perfect portable mp3 player is to decide why you want the device. Do you want just a basic cheap mp3 player to upgrade from your old walkman? Are you a music groupie who needs unlimited space to download every domestic and import mp3 released by your favorite bands? Or are you simply looking for an affordable mp3 player to listen to music while you are exercising? Whatever the answer may be, there is a portable mp3 player out there that was made specifically with you in mind. The second tip you need to know in finding the perfect portable mp3 player is to acclimate yourself with the types of portable mp3 players available. Although this list is constantly changing, the three main types of portable personal mp3 players are hard drive based, flash based, and cd based. Basically what this means is that portable mp3 players use different types of hardware to store and read mp3s. Hard drive based mp3 players store mp3s on an internal hard drive. Flash based mp3 players store mp3s on some variation of a flash media card. CD based mp3 players read mp3 players off of a cd containing mp3s. If you are looking for cheap mp3 players, your best bet will be to get a cd based mp3 player. Not only is it cheaper in price than the other portable mp3 players, it is also much more affordable to purchase a twenty pack of blank cds than a flash media card. If unlimited space is your fetish, you will need to go with a hard drive based mp3 player. Many of the hard drive based mp3 players are not only affordable, but rival home computers in terms of their hard drive storage capacity. If you are looking for added features such as recording capabilities and advanced tools in your mp3 player, then a flash media mp3 player will best suit your needs. However, you will be trading in storage capacity for those added features. For everyone else, your best bet will be to get a lower model hard drive based portable mp3 player such as the immensely popular and sleekly designed iPod. You really can't go wrong with an iPod. By understanding the different types of portable mp3 players and how they will be used by you, you can easily find the perfect affordable portable mp3 player for your budget and lifestyle. Nokia today announced the Nokia 6630 Music Edition, a special music version of the iconic 3G smartphone. The Nokia 6630 Music Edition has been designed with enhanced music functionality to make it convenient for you to take your music collection with you while on the move. Shipping later this month, the Nokia 6630 Music Edition is available for European, Middle Eastern and African markets. "The Nokia 6630 Music Edition is a fantastic combination of music, smartphone and 3G," said Tuula Rytilä-Uotila, Director, Imaging EMEA, Nokia. "You can carry a good portion of your music collection with you where ever you go and with the Nokia Audio Adapter, you can quicky connect your favorite set of music headphones." The updated music player makes it easier than ever to manage and play your music files. The included 256-megabyte memory card lets you store up to 15 CDs worth of music while support for up to 1 GB RS-MMC means you'll never have to be without your favorite tunes. 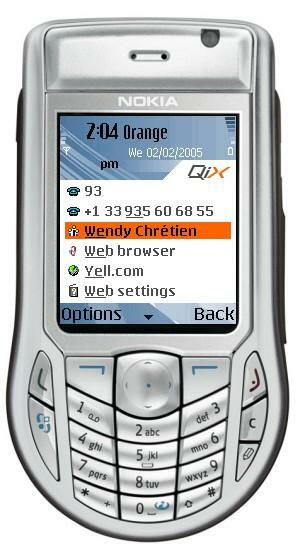 You can transfer music to the Nokia 6630 Music Edition quickly and easily, with the included Nokia PC Suite software or with the bundled Nokia USB MMC/SD reader. Connecting your favorite headphones is a snap with the Nokia Audio Adapter and its 3.5 mm stereo jack. 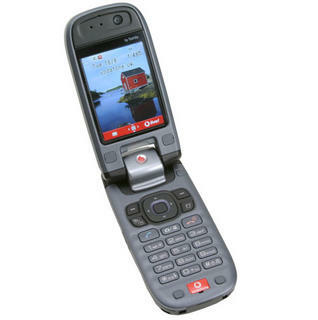 Available in either Rustic Red or Aluminum Grey, the Nokia 6630 Music Edition is easy to personalize with a new selection of themes and ring tones pre-installed. You can also benefit from the wide range of smartphone features, including a 1.3 megapixel camera, mobile broadband access with WCDMA networks, mobile email, streaming video and much more.